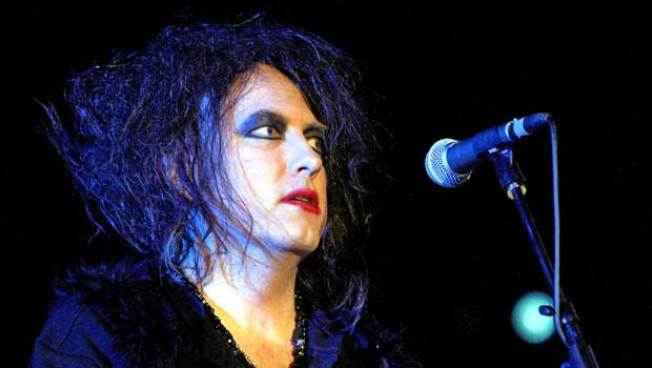 The Cure's Robert Smith performs late into the night Sunday at the Coachella music festival. The Coachella Valley Music and Arts Festival in Indio was supposed to end Sunday night, but apparently nobody told The Cure. The Cure played past midnight -- in violation of the city's agreement with show promoters -- prompting the venue operator, Goldenvoice, to pull the plug as the band started a song at about 12:30 a.m., according to City News Service. "The music is supposed to end every night at midnight," said Indio police Cmdr. Ben Guitron, who added that the police department was not physically involved in shutting down the entertainment. "How Goldenvoice addresses our concerns is up to them." According to Guitron, the services agreement between the city and festival promoters mandates $1,000-a-minute penalties for every minute that a show continues past midnight. The show ran 54 minutes late Friday night, 30 minutes Saturday night and 33 minutes Sunday night. According to the Indio police spokesman, the city provides law enforcement, fire protection, public works and a range of other services for the festival, and the extra costs of keeping personnel in place when shows run over are wrapped into the $1,000-a-minute fines. Paul McCartney went into a long set in the midnight hour on Friday night, much like Prince the year before. Venue operators let the former Beatle play. According to Guitron, there were a total of 66 arrests this year, most of them on Saturday, compared to 91 last year, mostly for drug- and alcohol-related crimes.